Green Leaf Forest Products mills local salvaged wood into live-edge slabs. 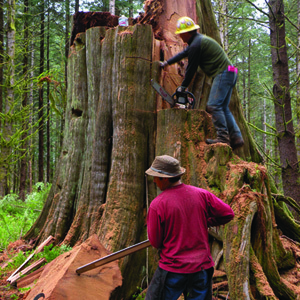 We harvest maple, walnut, and fir, including old growth fir. 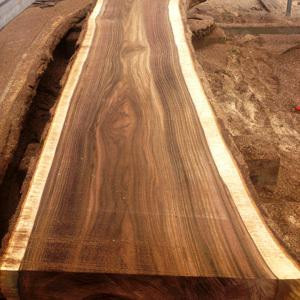 We use a slabber to mill rough-cut lumber into beautiful slabs suitable for tabletops or countertops. Some of our wood is flown out by helicopter, rescued from firewood piles, pulled out of the water, or just salvaged from wood that sawmills reject. All of our slabs are from Whatcom and Skagit counties. We inventory where they are from and can tell the story and location of each slab. We personally make sure each piece is from a legal site.